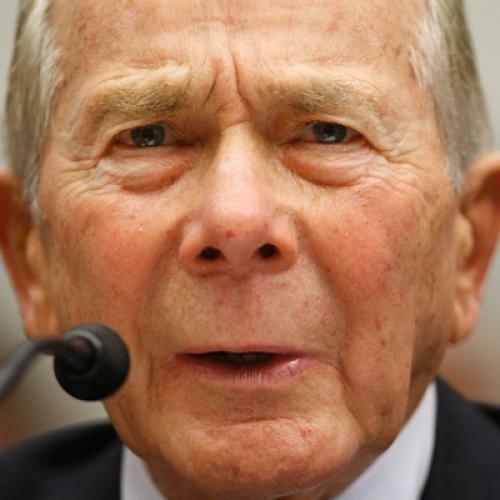 Hank Greenberg v. AIG: Discuss. As the front-page story in today's Times points out, the relationship between AIG and its longtime former CEO, Hank Greenberg, is getting more and more fascinating. On the one hand, Greenberg still owns a lot of stock in the company and is keen to see it become viable again. (I happened to speak with him a few weeks ago--I've got to make sure the conversation was on the record before providing more detail, but the short version is that his feelings on this point are pretty unambiguous. It's a mixture of his personal pride in having built the company and his own financial interest.) On the other hand, Greenberg does seem intent on competing against it aggressively. The firm [that is Greenberg's current firm, C.V. Starr & Company] seems to be focusing on the specialized lines of business insurance that once made A.I.G. stand out. The government had hoped to leave those businesses at A.I.G. intact after selling off most of its other operations, like life insurance and household finance. Now, if Greenberg were only making a push into the overseas consumer businesses, then there wouldn't be much of a conflict. But commercial insurance is at the heart of AIG's plans going forward. Moreoever, the reason those specialty lines have been so profitable over the years is that AIG has had little in the way of competition there and a lot of pricing power. If Greenberg and C.V. Starr are getting into those businesses, it could have a pretty direct effect on AIG's bottom line.